The new Galaxy A series of Samsung phones is getting more interesting and sophisticated by the day. 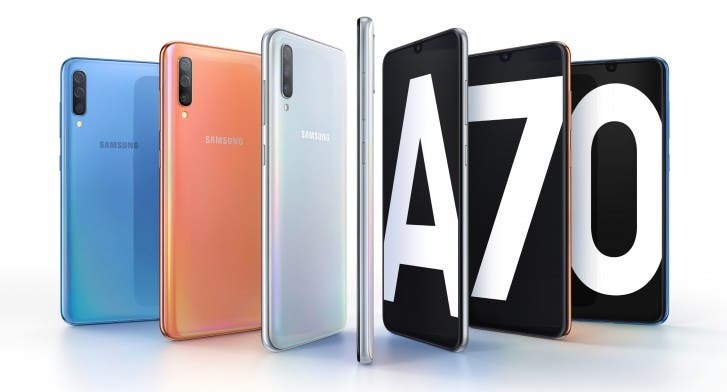 The Galaxy A70 that surfaced on TENAA hours ago with only its basic specs and images is now official jacking the number of the new Galaxy A series of phones to a total of 6 with more still on the horizon. 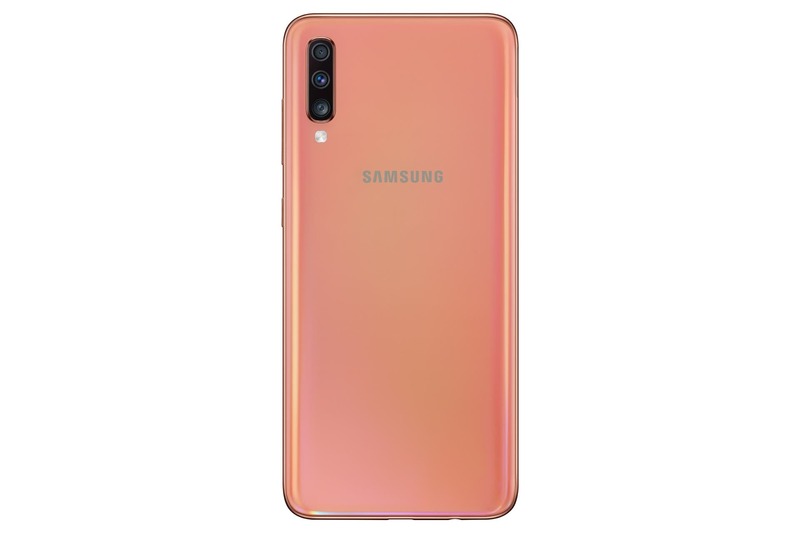 The major selling points of the device include a super fast charging speeds similar to the Galaxy S10 5G, 32MP rear and front cameras, and an in-display fingerprint sensor. 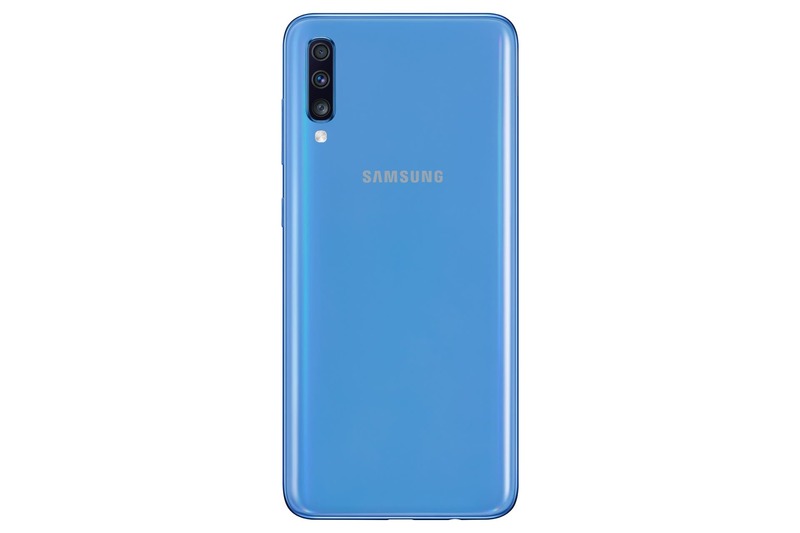 The gets the same 3D Glasstic build as the Galaxy A50 and A30, meaning it has a plastic design that gives off a glass-like premium vibe and is coated in blue, black, coral, and white color options. 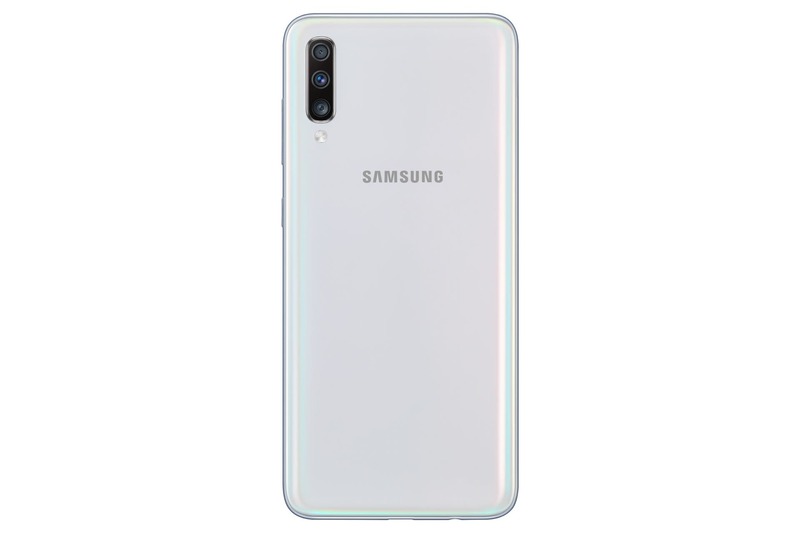 The Samsung Galaxy A70 is perhaps the largest of the new A series, boasting of a large 6.7-inch Full HD+ Super AMOLED Infinity-U display for the front camera with slim bezels and a large chin, as well as an on-screen fingerprint scanner, as in the Galaxy A50. Interestingly, the device is only about 76.7mm wide – a footprint that’s comparable with the Galaxy A7 (2018) and the Galaxy Note9, so a one hand Navigation is also available when you only have one hand free. The U notched display is home to a 32MP front-facing camera sensor behind an f/1.7 lens, the highest yet of any Galaxy smartphone. The same 32MP sensor can be found on the flip side, but it is however joined by an 8MP ultra-wide camera and a 5MP depth-sensing camera. 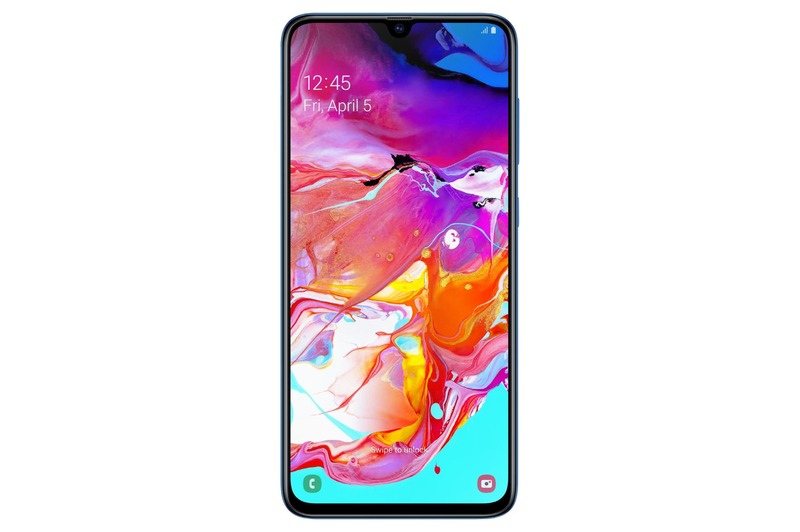 The device has an octa-core processor under its hood, and that is coupled with 6GB and 8GB RAM while it is available only in 128GB of internal storage with a dedicated microSD slot for expansion up to 512GB. The device is kept alive by a 4500mAh battery with support for the same 25 watts fast charging in the Galaxy S10 5G. 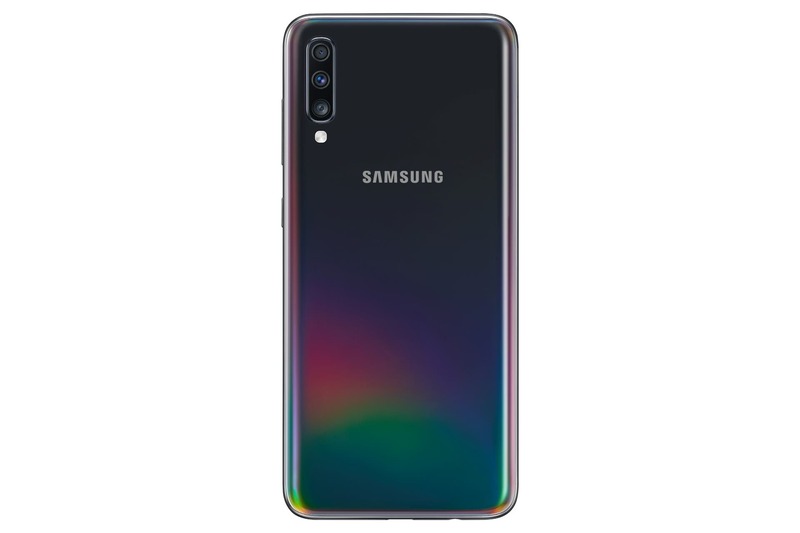 Of course the Galaxy A70 boots Android Pie out of the box with One UI 1.1, an that means it comes with the Digital Wellbeing and full Bixby Voice support even without a physical Bixby key. Samsung isn’t giving out info on the device pricing and availability now, but promise to do so at its launch event coming up on April 10.